The ease of care of a jade plant makes the succulent evergreen a popular houseplant choice and also one for the garden. But like most plants, the jade plant is susceptible to a few common pests. If detected early, a major infestation can usually be avoided. Treating bugs on a jade plant is fairly easy a homeowner’s wallet—usually requiring products that are already around the house. But depending on the quantity of bugs, be ready to invest a little bit of time. The most common bugs found on jade plants are mealy bugs, scales and spider mites. Mealy bugs are white and have a cotton-like covering, making them easy to spot. Although they are a little less common pest to the jade plant, it is possible to also have an infestation of scale. They are small, winged insects, ranging from 1/12 of an inch to 1/5 of an inch. Because of their nearly microscopic size, spider mites are difficult to see, but you can readily detect their presence by the evidence of the work they leave behind. Jade plants that are under attack from spider mites are also susceptible to having a change in appearance—losing their green color or becoming speckled or dusty. Jade plants—whether kept as houseplants or planted outside—can be easily rid of their pest problems with natural remedies or nontoxic products. Scale, for instance, are best hand picked or scraped from a plant, because their waxy-like shell makes them resistant to most insecticides. You may also treat a light infestation of scale by rubbing the plant’s leaves with alcohol swabs. Likewise, you can remove mealy bugs by simply dipping a cotton swab into alcohol and wiping them away. Use a garden hose to give a jade plant a thorough spraying to remove any spider mites and their webs. Proper plant care is the key to avoiding a major infestation of these pests. Plants that become stressed from overwatering or overfertilizing, or if they are grown outside and are subject to being overcrowded, all live in conditions that can cause an infestation. Scales usually show up on the stems and leaves of a jade plant. 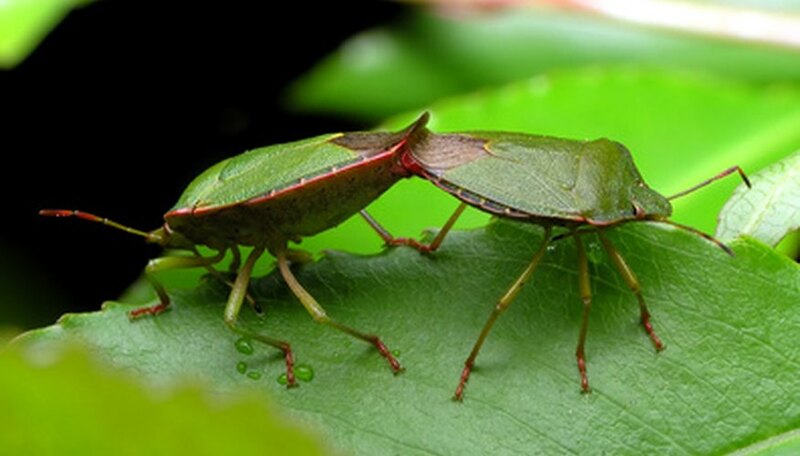 Mealy bugs are typically found on the underside of the plant’s leaves or on the stem or axis. Spider mites tend to make their home along the underside of the plant’s leaves.